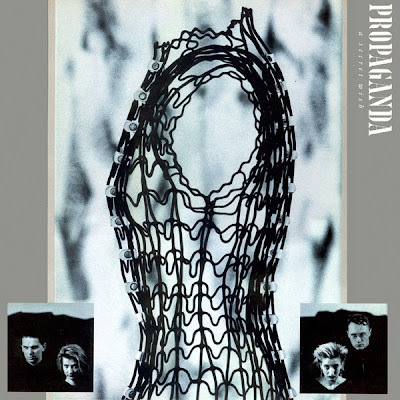 Propaganda was a German New Wave group from Düsseldorf which was formed in 1982. During 1984 and 1985 they released three singles and one album. Beside Kraftwerk, Aplhaville and Nena they are one of the few German New Wave groups that have gained commercial success outside Germany. Propaganda was formed in Düsseldorf in the early 80’s by a former Krupps member Ralf Dörper. He decided to go on with new musical ventures and left his group. Ralf’s new project also involved new musical partners, Andreas Thein, a part- time DJ and their mutual friend Suzanne Freytag who was recruited as a vocalist. Propaganda was born and as a trio they began recording music. Their first musical venture was the cover of a song “Disziplin” which was originally performed by Throbbing Gristle which also gave them a TV airing. “Disciplin”, tough was never released as a single because Gristle refused to allow it. Following the whole “Disziplin” project the band took new members, musician and composer Michael Mertnes and 19 year old vocalist Claudia Brücken. The band moved to UK and it was signed to ZTT records label. The new Propaganda line up was marketed as a twisted hellish version of Abba leaving Mertens in the background as the invisible fifth member. "Dr.Mabuse" was released in 1984 and short time after Thein left the group not satisfied with the record company which delayed the release of the Propaganda material. 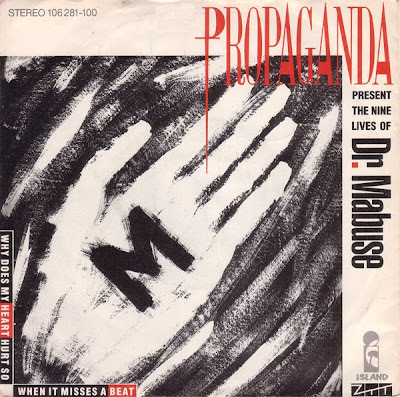 1985 saw the release of Propaganda’s most successful single “Duel” which reached no 21 in the UK charts as well as the release of their debut album “A Secret Wish”. 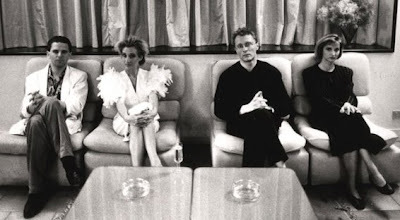 After their second appearance on ‘The Tube’ things went quiet for Propaganda, Claudia Brücken left the group in 1986 and the remaining members of the group took ZTT to court to release them from their contract. In 1988 a new Propaganda line up gathered and began recording new material. Alongside Michael Mertens were the new line-up vocalist Betsi Miller, bassist Derek Forbes and drummer Brian McGee. The result was a new contract with Virgin and a new album release. The album ‘1234’was released in 1990 as well as the single “Heaven Give Me Words” which actually sounded more like Wilson Phillips than the old Propaganda material. It did not get much airplay either. 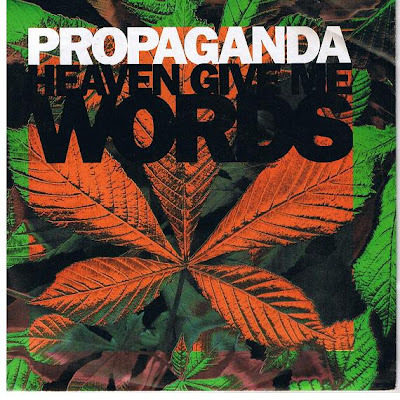 The original line-up of Propaganda met once more in 1998 with a new deal to record a new album which was never released until some songs from the album leaked via file sharing networks. In 2005 Mertens and Freytag resurrected the name Propaganda again while Claudia Brücken teamed up with Paul Humphreys of OMD for the Onetwo musical project.